"Needful Prims Address Labels by Lorrie Weber" product is already in your cart. 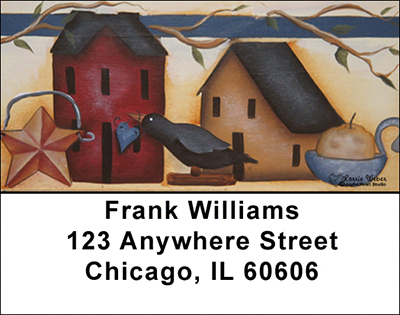 Needful Prims Address labels by Lorrie Weber depict a country style painting by author, artist, and educator Lorrie Weber. If you love the country style of decor, you will enjoy these labels. Needful Prims Address labels by Lorrie Weber are self adhesive. Matching checks are also available.